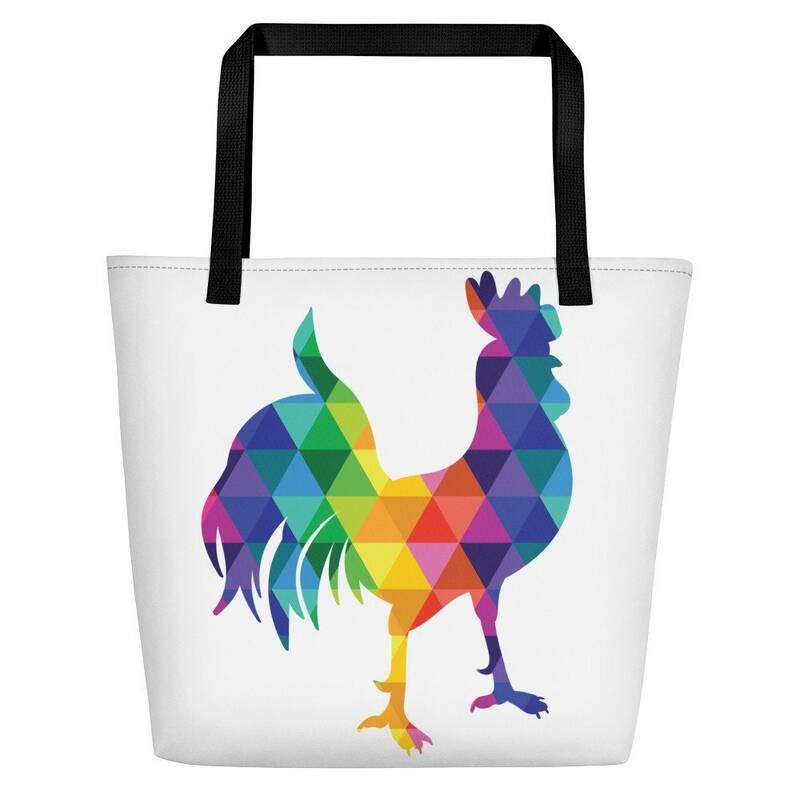 A colorful tote bag! You can carry your shopping in this bag or your Macbook Pro like I do? These colorful triangles will match any outfit. Buy one for yourself or as a gift. Rooster vibes right here!